Bald is beautiful. 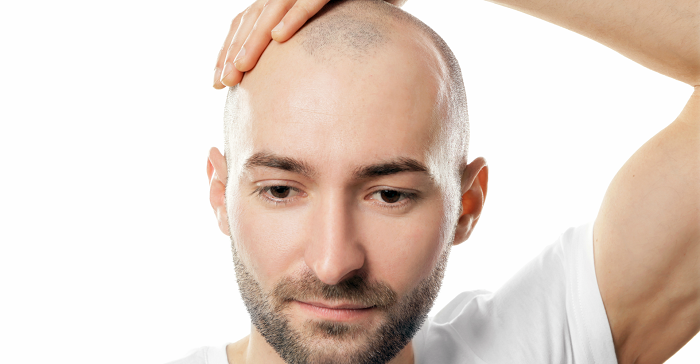 More and more men are going bald intentionally, so it can be a look adopted by men from all walks of life, all ages, all sizes. And it can be cool. All it takes is the confidence to rock it like you own it and the right accessories. It is a really short journey from hot bald guy to sloppy bald guy. Stylish hats for bald guys can make all the difference. One thing about style: if you don’t own it, you might as well not own it. You have to embrace your baldness, and you can pretty much wear anything and make it look great. Some guys look amazing in army fatigues from the Salvation Army and an unkempt beard. You can kill the bald look with a sense of ownership. The right that can help boost your confidence too. Make sure that whatever you pick from our site, you resonate with it. The hat should be something that you like, and something you can see yourself wearing. If you can’t see yourself in it when you see it on the internet, chances are you won’t ever wear it, and then you’ve just wasted your money and you’ll probably hate us for convincing you to buy it. You can choose from any wide variety of hats, and you’ve got plenty to choose from here, and then it is just a matter of how you style it. Are you the guy who rocks a few different looks? Or do you have one signature look that you like to stick with? If you want to wear the newsboy hat, make sure you pair it with loafers and cords. If you’re gonna walk around in a fedora, you better have a GQ style going for you. The point is, you can make any of these already stylish hats fit your own personal style, just keep your eye open for what goes with what. We’ve got some pointers for you in each section to get you started. It is made of 100% cotton, which is a breathable fabric, so you can stay cool on hot summer days both by protecting the precious skin on the top of your head and by keeping your head from getting sweaty in an overheated fabric. The newsboy begs to be worn with khakis or corduroys and loafers. You’re going for the laid back throwback look. Click here to view Gatsby Newsboy on Amazon. The cabbie cap is even more throwback than the newsboy. It is shorter in the front and rounded in the back. This particular cap is made of canvas fabric and has a plaid lining, so you expect to be in Scotland or somewhere else in the UK as you sport it. You can pair this in the same way you do the newsboy, for a relaxed hipster look that speaks to your indifference to trends and styles when nothing could be further from the truth. You could even add this to your newsboy collection for a weekend look. When we talk about confidence, you really need to be secure in yourself to pull this look off. The slouchy, scrunchy beanie that comes with an infinity scarf with a zipper pocket belongs to the men of letters. You better have a soft soul and a preference for Chardonnay if you want to wear this hat. But here’s the thing about that, if you do have that confidence, this look can be amazing. It goes well with thick cable sweaters and soft distressed jeans. A pair of thick-soled black boots wouldn’t hurt. Also, carry your copy of Henry David Thoreau around with you. It’ll complete the look. Click here to see the pricing for the Beanie Hat with Infinity Scarf on Amazon. Here’s another beanie, but it is a bit more versatile. The wool beanie can be worn with almost anything, as long as its winter time. In cold weather, this is a great hat for a bald guy especially because you need the protection for your hairless head, and it will complement the beard you may be sporting to protect your face from the chill. The obvious pairing with this hat is jeans and boots, a long sleeve shirt and leather jacket. But you can mix it up. Skull caps are awesome for bald guys. They perfectly pair with a hairless head because you won’t have puffs of fur sticking out from under such a close fitting, brimless cap. It also makes you look like a lean mean athletic machine because skull caps are typically worn by bikers or construction workers to absorb moisture as they do their thing. You can pair a skull cap with pretty much anything except a business suit. Your best bet is jeans and a T-shirt for a relaxed outdoors look. As a bonus, it will indeed protect your head from the sun and absorb any moisture you accumulate throughout your day. You get bonus points if you happen to be a bald cyclist. Buy one of each! Just kidding. Pick a style. You have to figure out which of these hats and looks speaks to you most. There are very different aesthetics involved with the variety we’ve provided for you here, so tap into your inner queer eye for the straight guy (or for vice versa) and decide who you are presenting to the world. In the end, some of these looks can be mixed and matched, crossed and exchanged. You may feel more rugged on the weekend and more stylish during the week. Because this isn’t a huge investment, try one out and play around with it, see how it feels. You really can’t lose.